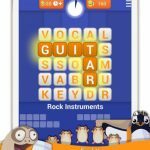 Don’t let the similar titles confuse you – there are multiple games called Wordz on the Google Play Store and Apple App Store, but the game we shall be talking about today is Wordz: Brain Evolution, an iOS and Android game from CloudTeam. 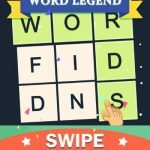 This is a game based on the popular Hungarian crossword puzzle Fillwords, but regardless of where you are located, you can cure that boredom, tease your brain, and stimulate your imagination with this game. And, as CloudTeam will tell you, this is a game that could also boost your mood. You will be able to see an entire board with letters, and from there, you’ll have to swipe your finger up and down, vertically and horizontally, finding the words on the board. And as you progress, the game will also get progressively harder – it starts out easy, but that’s “just a training [sic],” or to phrase things more accurately, that’s just a teaser for the harder puzzles that will follow. 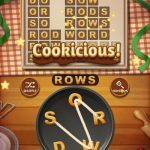 So how can you boost your mood and solve more of these puzzles even as the difficulty ramps up? 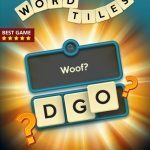 Check out our exclusive list of Wordz: Brain Evolution answers and solutions, as we give you complete answers to the first 200 levels in the game.